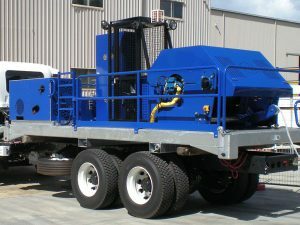 The size of winch you require for any given job depends on a variety of factors, such as weight, mobility and surface level. As a rule of thumb, to find out the smallest winch needed, you should multiply the gross weight of the heaviest object you plan to pull by 1.5. The easiest way to decide what winch you need is to consult the manufacturer, and/or the company that sold it to you. Interestingly, winches are not always suitable for all jobs that may appear to be easily done using one. 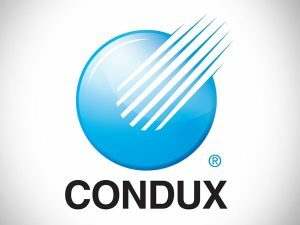 Again, consult the manufacturer before starting your job and deciding on what cable winch you need. The ancient Greeks are credited with inventing the first winch sometime in the 5th century BC. However, they may have been invented by the Assyrians, much earlier. The Greek philosopher, Aristotle, writing in the 4th century BC, noted that winch and pulley hoists were commonplace in the agricultural field. Whatever the case, they have a long history of use. Archimedes, (287 BC – c. 212 BC) invented the first lift/elevator, which operated with winches and pulleys, in around 236 BC. These first winches relied on human slave power to operate. An example of a still-surviving building that employed the use of winch and pulley systems is the Colosseum in Rome. The age of ancient lifts ended when advanced (for the time) screw systems were invented in the 18th and 19th centuries. At that time, technological advances meant that safety devices, hydraulics and electricity could be utilised. The capstan winch has a vertical drum, rather than a cylindrical one. 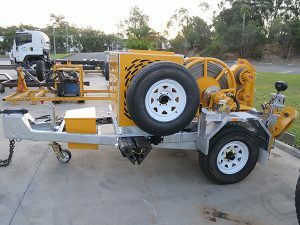 This type of winch is used to pull objects horizontally. The line or cable can be released from the drum at the required angle, making it ideal for sailors (hence its name). Contemporary ones can easily manage high line pulls and can achieve high speeds. They are either powered manually, electrically, hydraulically, or pneumatically. 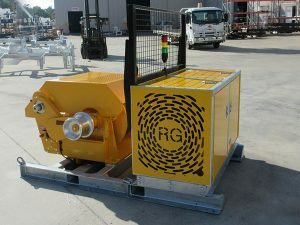 These winches have two grooved drums arranged in-line to run the line using friction. There is also a larger drum which reels in the rope so that it can be stored. The pressure of the running rope when taut is taken by the grooved drums directly. The design means that the wire beneath is not distorted or deformed in any way, as it would be if a conventional winch were used. 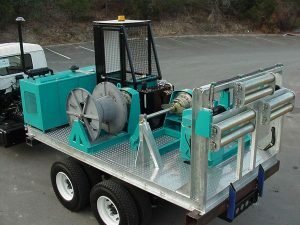 Utility winches can be used for a variety of purposes. However, they are basically suited to a variety of lighter weight jobs. Take care when choosing your cable winch, and before choosing the ideal one for your purposes, please contact us and consult with the experts. 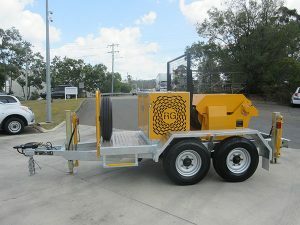 There are several other types of winch, such as the hand-winch and the theatre-winch, which is primarily used in the theatre to move sets and so on. 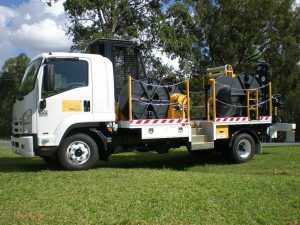 If you need a cable pulling winch, and you need to know exactly how to use one, it is absolutely the best policy to ask the cable pulling winch or cable hauling winch supplier about what is involved in operation. Sometimes, simply reading an instruction manual is not enough. Experts are usually only too willing to share their expertise, especially if you are a client or a prospective buyer. 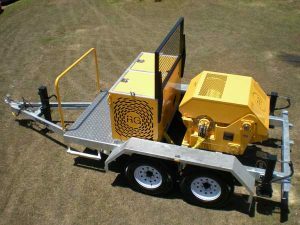 A cable pulling winch, or a cable hauling winch is usually used for installing electric cables, either aerial ones or underground. Installing such cables can be dangerous, so thorough training must be given to all operatives before they can be allowed to operate equipment. Redmond Gary Australia Pty. Ltd offer training programs in the form of workshops before equipment is delivered to the client. The Australian government has been busy in the last few years, upgrading its certification programs and designing new ones, with new standards that must now be met. These are broadly in line with international standards. All training should cover theoretical and practical issues. It is essential that vocational courses should enable trainees to understand the risk assessment procedures they need to carry out before embarking on a new job. The risk assessments should also extend to take into account the environments in which they will be working. The Yellow Card and the Australian Vocational Education and Training (VET) qualifications are both recognised qualifications. Whether you are currently in Australia or planning to emigrate, you should investigate whether or not your existing qualifications are recognised by the Australian government. Vocational Training programs, with regard to training to operate equipment and machinery, can usually be completed in a day or two. However, trainees must be able to demonstrate competency in written, as well as oral English. These requirements are perfectly understandable from a Health and Safety point of view. A worker must be able to understand warning shouts given on a building site, for example. Failure to comprehend might lead to a tragic accident. 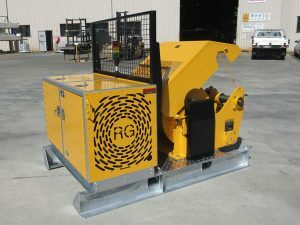 If an employer responds to an advertisement offering a cable pulling winch for sale, a cable hauling winch or a cable winch for sale, and it is not new, it is highly unlikely that the seller will offer training in operating the equipment. That is a big disadvantage despite the fact that the equipment is cheaper than buying new. Training courses can prove expensive. Depending on the type of course undertaken, VET courses can cost a few hundred dollars or a few thousand. The cost depends on the level of course enrolled on. VET courses are useful for people who are new entrants to the Australian workforce as well as for people returning to work after taking some time off. Such people might need to upgrade their existing skills so that they can better perform their jobs, in the ever-changing world of work. Still others may wish to change jobs and so need training to perform their duties adequately. There are different levels of courses, such as those leading to the certification for course levels 1 to 4, which are classed as providing introductory skills and training. These courses give instruction in literacy, numeracy, communication skills and team work, all vital for today’s workers. They can last from anywhere between six months and two years. The more skilled and trained an employer’s workforce is, the more their operations will run safely and smoothly. There are also more advanced courses, such as those leading to a diploma or an advanced diploma. There are also courses for graduates, such as the vocational graduate certificate/diploma which gives trainees a higher level of employment-related skills than the more basic courses. These full-time courses typically take between six months to a year to complete. The graduate diploma usually takes one to two years, studying full-time. Some (but not all) VET providers also offer English language courses for those whose first language is not English. What Is An Electric Cable Winch And Why Is One Needed? An electric cable winch is a device that is used to pull a cable in or out. They are much easier to use than hand operated winches. A job can be done faster and so the cost of an electric cable pulling winch can ultimately be offset by the time taken to do a job. Electric winches can be used for multiple purposes, not just for laying electric cables. For example, they can tow vehicles, or boats, or alternatively, they can be used to pull other really heavy objects. Ask your supplier to help you choose the right winch for your purposes. He, or she, will be only too happy to advise you. 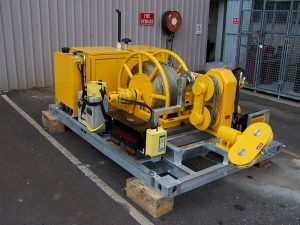 Once you have bought a winch machine for cable pulling, it will need to be maintained on a regular basis. You should check over your winch after use, unfortunately, they do not last for ever. If you find that the wire rope is damaged, frayed or kinked, you should replace it immediately, or at least, before using it again. The winch’s wire rope and the remote control should be cleaned well after each use. You may need to completely unwind the winch to clean it so that no dirt or debris accumulates on it. If you are using a vehicle-mounted winch, you should also check your vehicle battery and its cables to ensure they are functioning correctly. Extra strain is put on the battery if you use it for long periods of time. As with other equipment, regular checks and maintenance can prolong its working life. 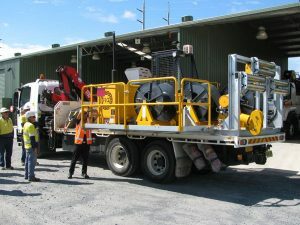 When looking for cable winches Australia on the internet bear in mind the training needs of your employees. Also think about whether you need to rent or buy one. 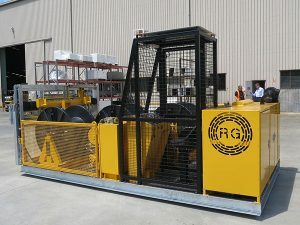 If you need a cable winch just for a one-off job, and you have trained workers who are suitably qualified to operate one, then your best option might be to rent one. 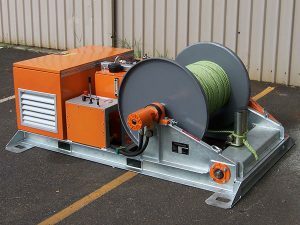 If you come across advertisements offering a cable hauling winch for sale, you might be tempted to invest in it. However, don’t compromise on safety. It might be better to look into the cost of hiring one or more. 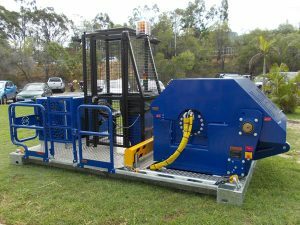 Before you decide to buy or rent any piece of machinery or equipment such as a winch, check out our website: Redmond Gary Australia Pty Ltd. We can also train your staff to use your new equipment. First of all, it is important to note that we train small groups, typically of 3 to 4 participants in workshops. The small numbers ensure that trainees get effective individual attention when it is necessary. Trainees get theoretical training as well as the all-important practical training in how to safely operate machinery and equipment. We understand the importance of giving trainees the necessary training in how to undertake a risk assessment concerning the equipment they will be using as part of their jobs. Furthermore, all trainees must undertake a competency-based assessment so that we can be sure that they are capable of operating the equipment they have to use. On successful completion of the training course, trainees are given a certificate. This can be used as proof of their competency. You can rely on us to deliver our best service. Why not check out our website now, or give us call, and let our friendly, knowledgeable staff help and advise you?